DJ Tech Pro is proud to present the DIF-1S, DJ scratch mixer with the Mini innoFADER from famous scratch fader manufacturer Audio Innovate. 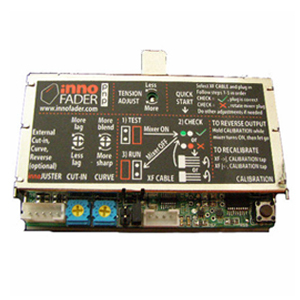 The DIF-1S features the mini innoFADER from Audio Innovate as the crossfader. 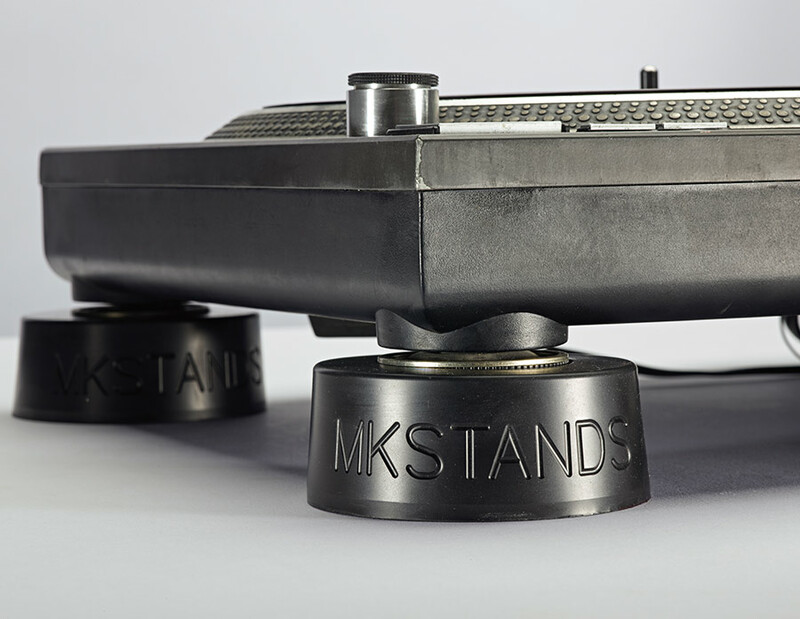 Inherited from the original innoFADER, it provides smooth and robust feeling to the Scratch DJs. The contactless design gives a long life of over 4,000,000 cycles! The cut-in position can be adjusted by users with simple calibration steps to fit your taste and the Reverse switch allows you to do different style of scratch skill. 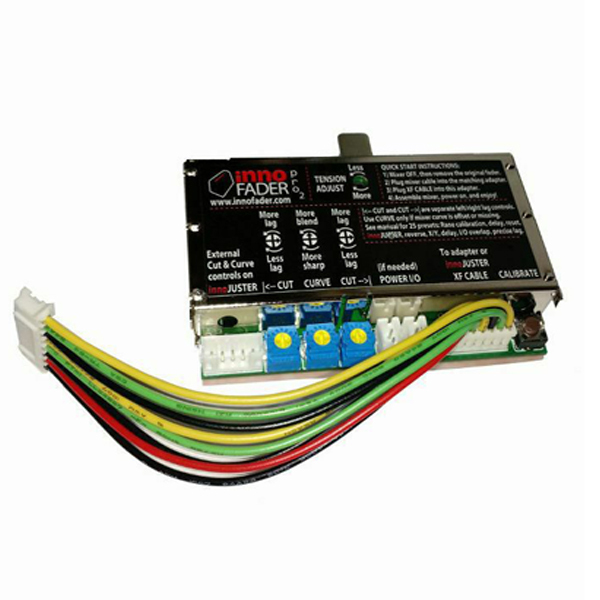 The mixer is also compatible with the original innoFADER for future upgrade. 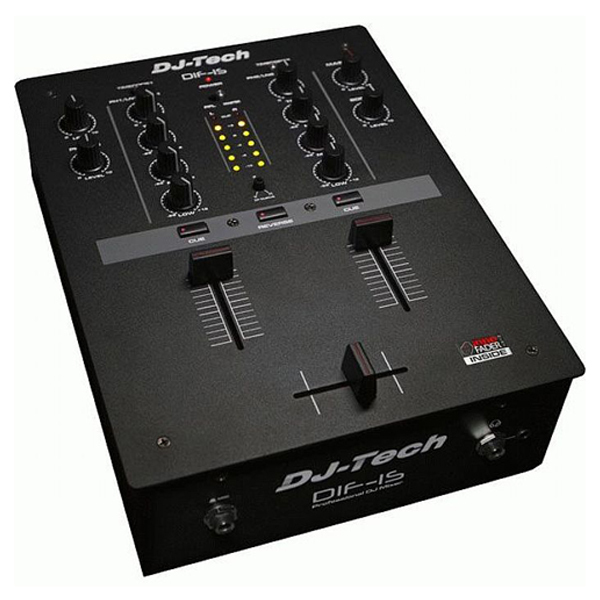 The DIF-1S’s TIMECODE Mode makes DJ’s life easier switching between ordinary turntable setup and DVS setup. At the rear of the DIF-1S, the extra pairs of TIMECODE SEND/ TIMECODE RETURN RCA connectors allow you to connect to your audio interface (e.g. the SL3 For Serato). Just switch to the TIMECODE channel on the top panel and you are ready to use as a DVS setup. The DIF-1S serves as a full-feature 2-channel mixer: 3-band EQ, mic input, both 6.35mm & 3.5mm headphones outputs and even a Booth output with a dedicated volume control, yet, the price is affordable! Scratch Seriously Now! Switch between the traditional vinyl/CD setup and DVS software setup without reconnecting a single cable.